Fans of ’70s action-packed crime-thrillers should be intimately familiar with William Friedkin’s 1971 classic The French Connection and French filmmaker Cédric Jimenez’s The Connection looks at the French side of the equation in a similarly action-packed film. Drafthouse Films has provided ComingSoon.net with the exclusive teaser poster and teaser trailer for the film. Inspired by true events, The Connection tells the story of real-life Marseilles magistrate Pierre Michel (Jean Dujardin) and his relentless crusade to dismantle the most notorious drug smuggling operation in history: the French Connection. In his crosshairs is charismatic and wealthy kingpin, Gatean “Tany” Zampa (Gilles Lellouche), who runs the largest underground heroin trade into the States. Though the fearless and tenacious Michel, aided by a task force of elite cops, will stop at nothing–including boldly orchestrated drug raids, devastating arrests, and exacting interrogations–to ensure the crime ring’s demise, Zampa’s “La French” always seems one step ahead. As La French mounts its retaliation, Michel will be forced to make the most difficult decision of his life: to continue waging his war, or ensure his family’s safety, before it’s too late. 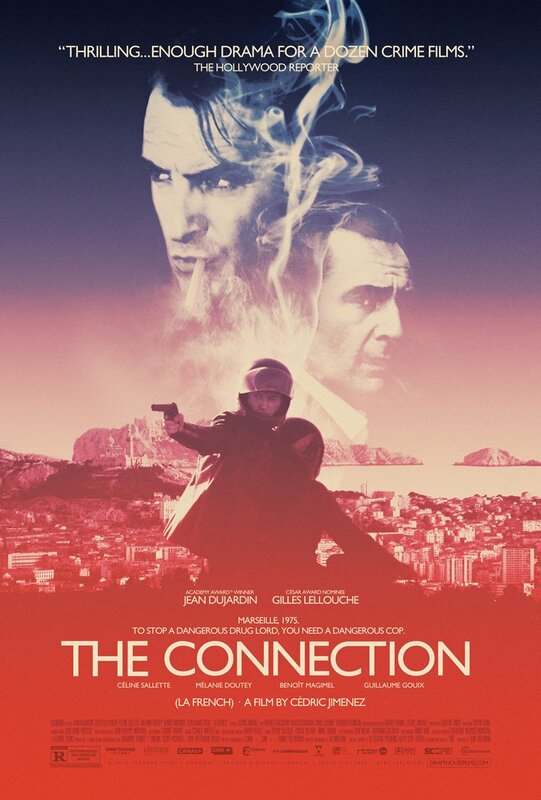 The Connection opens in select cities on May 15 after playing at Lincoln Center’s Rendezvous with French Cinema this weekend. You can watch the trailer below and see the poster underneath.